elderly mental health with 18 years experience. I enjoy care work very much and am 100% honest and reliable. 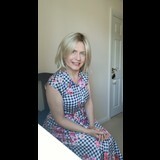 As a single lady with no commitments iam interested in live in care work. I understand you may have vacancies in Essex or North London which would definitely interest me.